The following narrative is the personal experience of Dr. W. T. Moore, now of Texas, who participated in the Battle of Baker’s Creek, and is an extract from a letter written to Captain W. T. Ratliff who was also a survivor of that fierce engagement many years ago. The letter describes the 1st Mississippi Light Artillery’s retreat from the battlefield of Champion Hill to Edwards. The names listed in the engagement were mostly enlisted in Mississippi Artillery: 1st Regiment Light Artillery commanded by Col. Withers. We went into camp in the night before the battle by the side of a neighborhood road in the woods. Just before sunrise next morning we were ordered to hitch up and move in a hurry. We moved out on the same road we were camped on and the infantry were blocking the road for us to pass. We hurried on at a rapid pace and came into a big road and traveled that a piece. At a big oak tree we turned to the right into a little wheat field and took position there about 75 or one hundred yards from the road. Soon after that Gen. Pemberton and staff rode up and stopped under the oak tree and established headquarters there - Johnston’s section on the right and the other two guns on our left. We remained there for some time, I don’t remember how long. While there a heavy cannon and infantry firing took place on our right not far away. Presently a courier came up in haste and reported to Gen. Pemberton that Waddell’s Alabama battery had been captured and also a call for reinforcements at that point. Gen. Pemberton seemed to be very much excited; so much so that his aid had to assist him to mount his horse. He gave orders (all of which I heard) to go and tell Gen.[John] Bowen to double quick to that point and retake those guns. In a short pace of time Gen. Bowen’s command - or a portion of it - came from our left at a double quick, and as they passed us gave the old Rebel Yell and in a few minutes the muskets began to rattle. Colonel William Temple Withers, commander 1st Mississippi Artillery, CSA, that was engaged in the Battle of Champion Hill as well as the Siege of Vicksburg. Soon, a courier came dashing up and reported to Gen. Pemberton that the battery had been retaken and to send some teams at once to bring them (the guns) off. Waddell’s drivers with the limbers had escaped capture but when we got there, demanded their rights to couple on to their own guns, which they did, while in our position near the headquarters. We never fired a gun, nor did we see anything to fire at. There was some skirmishing some distance in the woods in our front, but the heaviest fighting seemed to be going on at our left. The other section was ordered to the left some distance, I supposed, about 10 or 11 A.M. and we were left in same position. We remained there for some time, and then we too were ordered to go to the left. After going in a run for I suppose a half mile, we turned to the right and took position in a wheat patch just in the rear of Gen. S. D. Lee’s brigade who was being forced back. We were in the open and immediately on our right the 5th Missouri was in line. Gen. Lee made a terrible appeal to his men to rally - for God’s sake to rally and drive the enemy back. Gen. Lee’s brigade was then about 50 yards in our front in bad shape - - all in disorder with his artillery between him and heard his voice above the din of battle as he pleaded with his men to rally. Col. Gause who commanded the 5th Missouri said, “Men that is more than we can stand, fix bayonets - hold your fire - Forward!” They went forward with a yell, passed Lee’s men, then a terrific fire, yell and charge. As if by magic, Lee’s men reformed and were charging to the front with them and drove the enemy back for some distance; all of this while we were exposed to the terrible fire of the enemy, and could not fire a gun, for fear of killing our own men. That was a magnificent scene. Lee appealing to his men, and the Missourians to the rescue. I will never forget it. I can now see it as plain as though it happened on yesterday. Very soon after that we were ordered in haste to the left. We retraced our march back to the big road, and hurrying to the left, not very far we turned right into a gate which opened the way from the road into a wooded lane. There was infantry strewn along the cut in the road, and as we turned in, some of them remarked, "Boys we are glad to see you, this is the only place they are whipping us at.” We replied, “Then come on with us. Only about 5 or 6 complied.” We (Lt. Frank Johnston’s Section) went about 100 yards towards a small house on our right, and picket garden on our left. My Gen.[John C. Moore], Bill Edwards sergeant, and Gov. Smith gunner, and Wm. Riser, gun corporal) was on the right and Sergeant McNair was his gun on our left. Just as we were ordered in battery and was in the half turn, the enemy in force arose from behind the garden and poured a desperate volley into us and killed every horse to our gun, and as they fell the front wheel was cut against the trail. Wm. Riser and Wm. McNeely were trying to unlimber and both were killed right there, falling across the trail. I was driver of the front horses (2 grays) Clay Millgian or W. Scott the middle horses, and Reeves Adams the tongue horse. Mine wee shot down, but one of them arose again. I grasped him by the bridle to keep him from swinging around where Adams was straggling to get from under his horse with Clay Milican or Scott assisting him; by this time our wheels were shot to pieces. I heard Capt. Ridley say “men take care of yourselves; and the next moment I looked and saw him and his horse on the ground, also Major Anderson, also our big artificer Hugh Mallary. He was calling for Jacko Goodwin the other Irishman and artificer. Jack ran to him and while there was shot in the foot and ran away limping. He was afterwards placed upon the only horse that was not killed belonging to Sergent Edwards and called by him Rosenate - a light yellow horse. Turn-of-the-century photograph of William M. Granberry, 1st Mississippi Artillery, who was detailed in Dr. Moore’s narrative of the Battle of Baker’s Creek. The Granberry family lived on a plantation approximately 6 miles south of Raymond at Midway. The caisson had stopped some distance behind us, and was in direct range of the fire; all of the caisson horses were killed. The drivers Wm. Granberry, Charley Nelson and Enouch Williamson. Williamson was captured. Granberry and Nelson got away. I saw Lieut. Johnton’s fine blue roan mare (Kate Nelson I think he called her) shot. All those who came out alive were out of sight of me except Clay Williams. We all perieyed there awhile to see what was best to do and decided that we would cut across Baker’s Creek woods; but who would pilot us. W. A. (Bill) Scott said he knew the country having once lived close by. So we struck out with Scott as leader and Goodwin on Rosenante, the only horse left, in the direction of Edwards. We came to Baker’s Creek and could find no crossing. Finally we found a large Sycamore log spanning the creek; we took Goodwin off the horse and shoved the horse down the steep bluff bank and into the creek and over to the shore, two of us carried Goodwin across on the log, replaced him on the horse and renewed our journey toward Edwards across the heavy wooded bottom, and came to the heavy wood bottom, and came to the road, just as our forces were retreating. Sharkey’s Guns were passing. Our boys mounted the gun carriages and rode part of the way back to Edwards. The enemy were back in the hill shelling, and the shells were flying pretty thick. Several of us went on to Edwards, being tired and hungry, having done without anything to eat all day, we tried to get something to eat. There was a whole platform piled up with bacon and other army stores but the guards would not allow us to have anything. We got some sugar out of a car and that is all we could get so we only had sugar for two days or until we got to Vicksburg. Now my recollection is this; our gun never fired a shot that day and was not unlimbered. We did not get into position, every horse being killed, and nearly all the men killed or wounded. We went there with 32 men and only came out with 8. It was the most deadly fire I ever saw, and beat anything that followed in Vicksburg. I can’t now call the names of the men killed and mounted there. Allen Sharkey was still to our left and my impression was that he lost 3 men. Lieut. Sharkey’s section was in a close place but he brought his guns off safely. 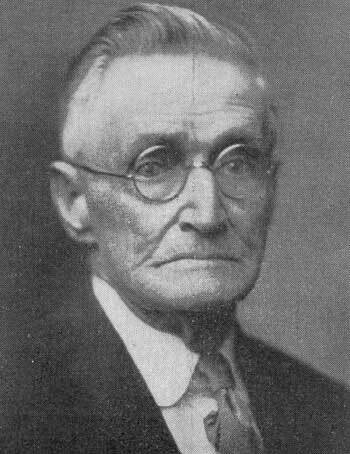 William M. Granberry returned to the family plantation at Midway where he was reunited with other members of the Granberry family who had also served in the war. He served as a machinist and was the successful operator of a cotton gin in the Midway community. Family members who knew him recall his numerous stories of the Battle of Champion Hill. They also remember that he wore big clumsy hearing aids since he lost much of his hearing as a result of serving in the artillery, especially during the siege of Vicksburg. Granberry died while living in Terry, Mississippi, and is buried in the Terry Cemetery. William Temple “Temp” Withers, born in Kentucky but settled in Mississippi, served as a lawyer prior to the war but lost everything in the end. His lowest moment was when he moved his family to West Point, Georgia, and lived on a hardscrabble farm. While here he made his first dollar selling buttermilk to Union soldiers as they made their way home. Withers was later appointed state agent to Washington and began to rebuild his fortune by convincing Northern capitalists to invest in Southern land and by procuring pardons for Confederates, including himself. In 1874, he moved his family back to Kentucky where he purchased 153 acres of farmland known as Fairlawn Stock Farm and began to pursue his dream of raising thoroughbred horses. In 1875 he purchased a Standardbred horse named Altamont for $15,000 dollars and began breeding and selling. Ultimately, in time, Altamont’s value increased to $60,000 and Wither’s reputation as one of the finest owners of stock horses in Kentucky was sealed. 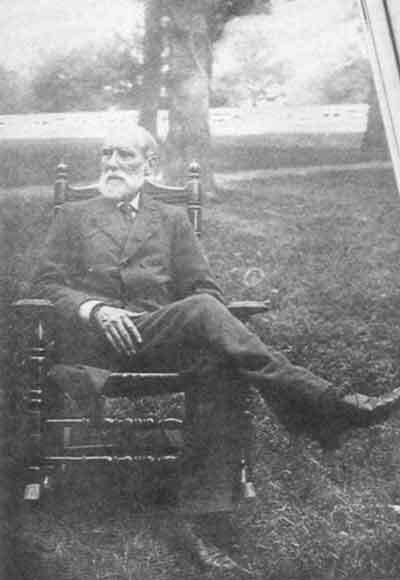 Withers died in 1889 at Fairlawn Farms and was buried in the Lexington Cemetery.